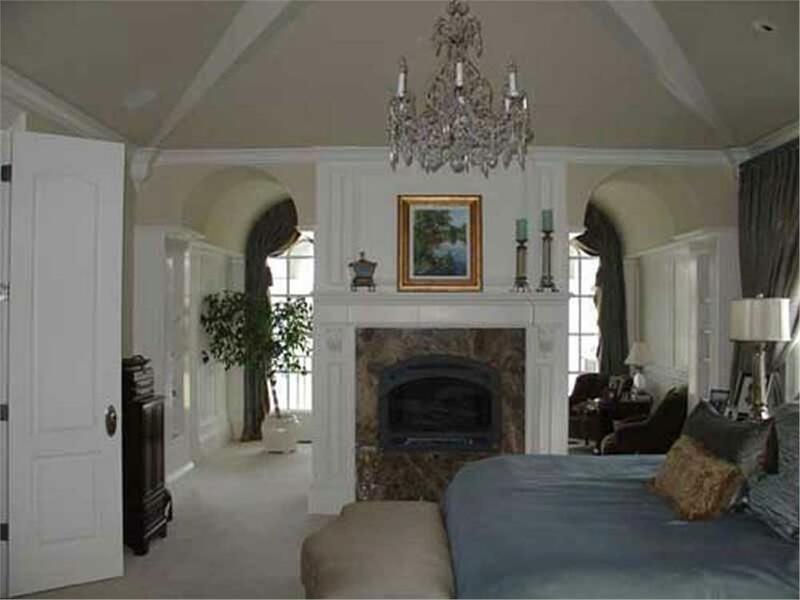 What Do You Really Want in Your Master Bedroom Suite? 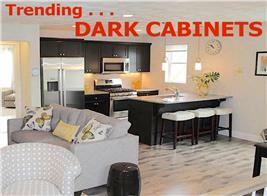 It’s not just the amazingly large bedroom in your home. For most homeowners, the master suite is also their safe haven – a private place where they can disappear for a few minutes or a few hours to take it easy, read, watch television, or listen to their favorite music. If you’re thinking of renovating or you’re building new from house plans, here are some popular house features to think of for your perfect private space. One of the hottest trends is what builders and home-plan architects call the “master-on-main” design – the first-floor master suite that appeals to younger owners for its accessibility to the outdoors; and to Baby Boomers who would rather not deal with stairs to get to the room. 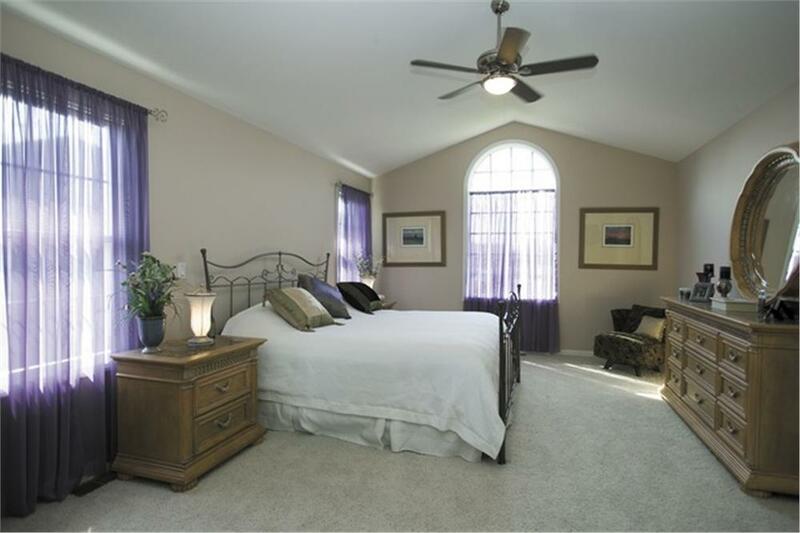 Another advantage of a master suite on the main floor plan is the privacy it offers. If you live in a one-story home, the suite can be positioned on the opposite end of the other bedrooms, also called a split master suite. 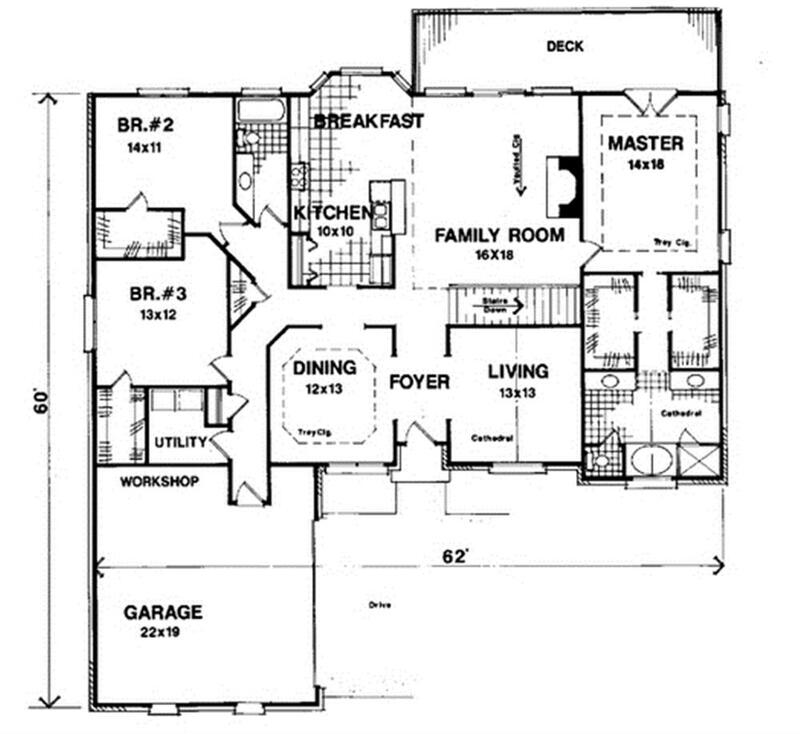 In a two-story plan, the secondary bedrooms are usually located on the upper floor. 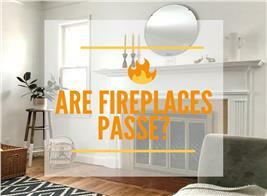 A number of homeowners also include a fireplace in the design of their first-floor master suite to make the perfect “getaway” place cozy and warm. The bright and airy main-level master suite of a 2-story, 5-bedroom Colonial home features a fireplace, floor-to-ceiling windows, and a sitting area. 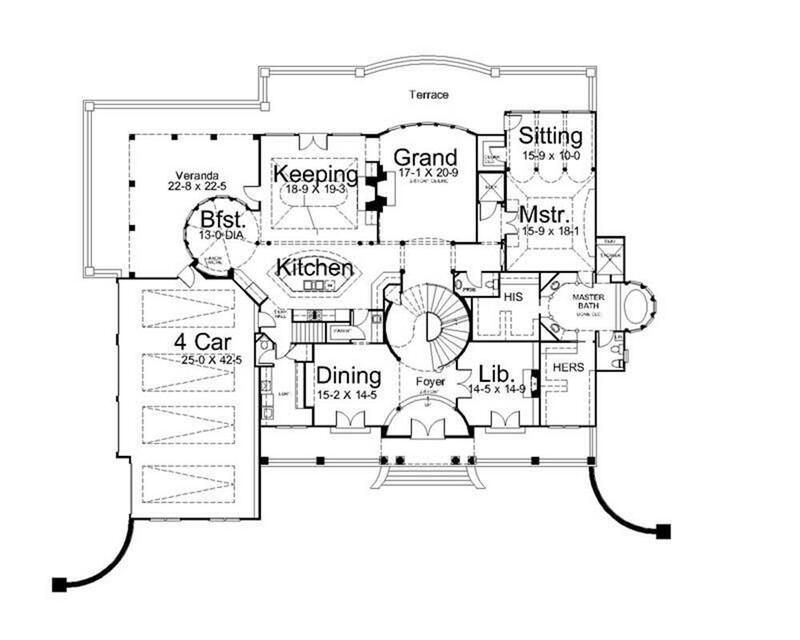 The floor plan layout (left) maps out the terrace – accessible from the sitting room – the master bath, and his and her closets (Plan #106-1185). 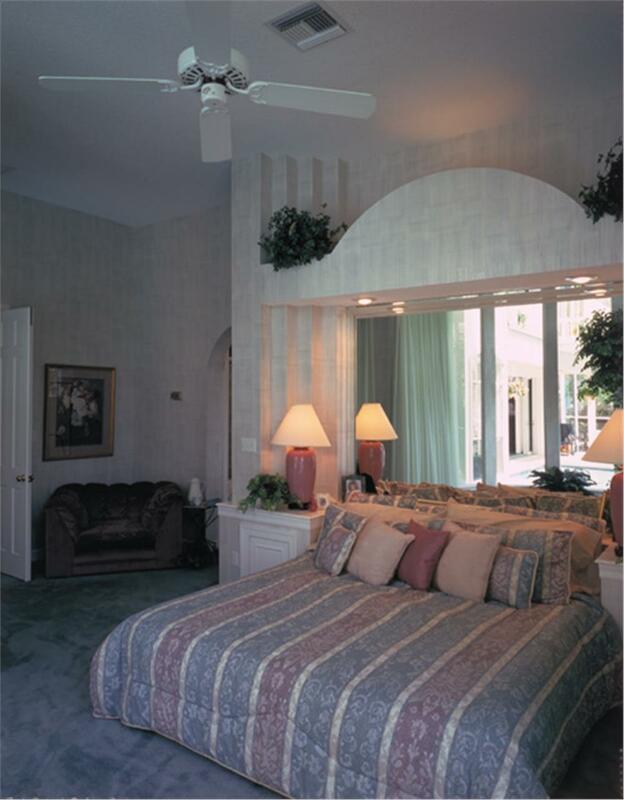 The ideal spot to relax and unwind in the master suite is the sitting area. Put in some comfortable chairs, and you can curl up with a good book on a lazy Sunday afternoon or a rainy day. With a small desk or a computer table, you don’t have to move to the home office to do some work. An arched entryway leads to a cozy sitting area in this master suite of a 2-story, 5-bedroom luxury Mediterranean style house plan. The muted lighting adds to the calm and serenity in the suite (Plan #175-1073). If you want a more-casual sitting area, here’s an idea from the master suite of a 2-story, 4-bedroom Mediterranean style home plan (Plan #190-1018). It seems that closet space is always an issue, whether you live in an apartment or a house. So today’s homeowners are more than willing to pay for extra closets, especially in the master suite. Separate closets allow each person to be more organized with clothes and personal belongings. In addition to being trendy, his and her walk-in closets cut down on the clutter in the suite and add more storage space for blankets, luggage, and perhaps even shoes. High ceilings and tall windows give this spacious main master suite of a 3-bedroom, traditional Ranch house plan abundant natural light. Walk into its master bath, and you’ll find his and her closets flanking the tub, shown in the floor plan at right (Plan #109-1192). Gone are the days of “serviceable” or no-frills bathrooms. Today’s bathroom – especially the master bathroom – is a place where one can soak in a hot tub or linger in a dressing room. 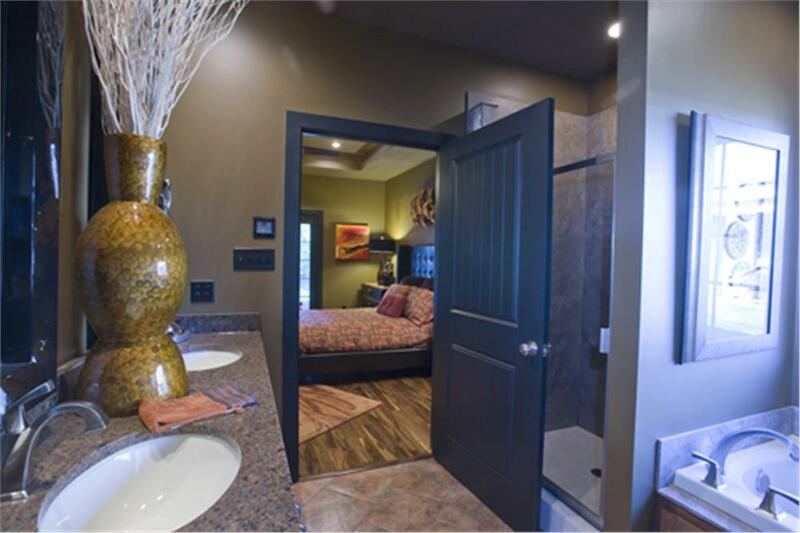 So expect master bathrooms to have all of the amenities of modern living: separate vanity areas with separate sinks and mirrors, soaking tub, even his and her showers sometimes. After all, why should you get in line in your own bathroom? Wash away all of your aches and pains as you luxuriate in the tub of this stunning master bath of a 2-story Coastal-style home plan. The bath comes with separate vanities, sinks, and showers (Plan #175-1064). separate shower, as seen in this 3-bedroom Country-style home plan (Plan #153-1906). 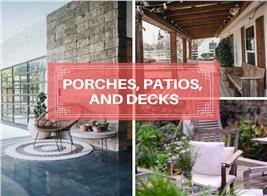 Connect the indoors with the outdoors with a private deck or balcony. Whether your master suite is on the main level of your floor plan or an upper floor, a private deck or balcony makes sense. Imagine sliding doors that open onto a deck where you can sit, read, watch the sunrise, enjoy the summer breeze, and take in the beauty of nature. and a glimpse of the private deck through the glass door (Plan #161-1041). 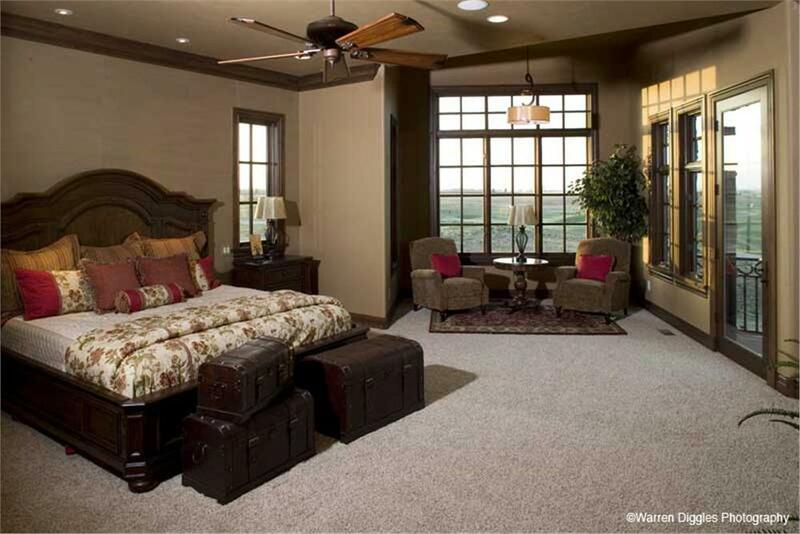 So, focus on what you really want in your master suite – and create just the right space for your “getaway” haven!